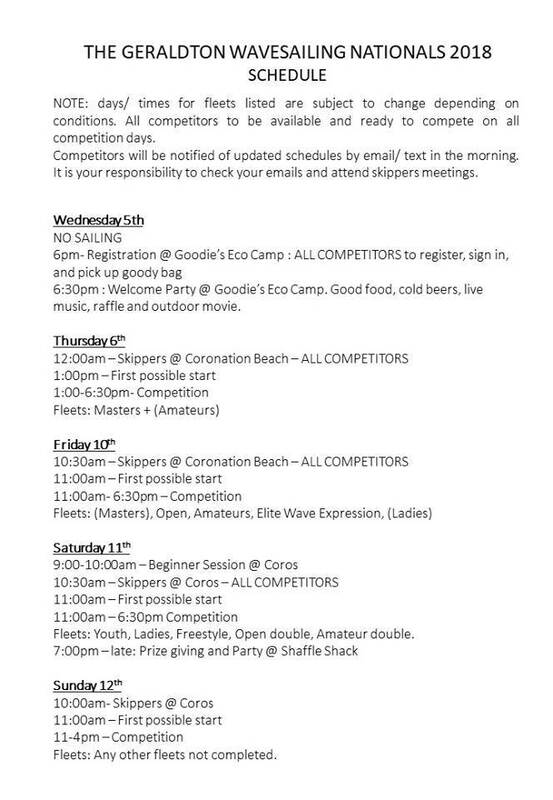 Notice to all Nationals Competitors: Due to forecast - there will be no sailing on Wednesday 5th Dec. Registration will be held at 6pm at Goodies Eco Camp. All competitors should come and register, sign in, and pick up goody bags. REGISTRATION CLOSES AT 7PM ON WEDNESDAY 5TH. The gap of 4 days in the middle seems a bit too long when the forecast is so good.